Check out the Save the Children Necktie Page for many more teacher friendly ties. Check out the Classical Civilizations Necktie page for heiroglyph designs. The French Phrases are translated as: "ne n�gligeons pas le fait que je suis peut-�tre g�nial" = "do not neglect the fact that I'm maybe great" and "comment etre modeste quand on est le meilleur" = "how to be modest when you are the best". 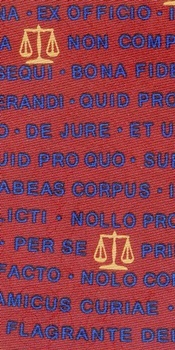 Other Science Neckties can be found on individual pages with many more examples. I have Sport ties if you want a teacher gift for a coach or PE teacher. I have History ties and lots of Sciences, Math and Art ties to add to the curriculm. I like a challenge so let me know if I can fill a special need or subject area. Other teacher's gift ideas can be found on the Mug, Balsa Wood Pens and Pencil Sharpeners page. There are Hands-on-Science Activity books on the book pages for lesson plan help or family fun. There are no flaws or stains and any tie can be returned if you are not pleased.